New Breed On The Farm The Malines were created in Belgium back in the 1800's as a meat bird. This is a very heavy breed, roosters can weigh over 12 lbs. We have a couple that are topping the scales at 14 lbs. Although the roosters are huge, they are gentle giants. There are many color varieties of the Malines but the black herringbone pattern is the most common. That black and white pattern goes from the top of their head to the tip of their toes. Absolutely stunning! The hens are also a very heavy bird but gentle, they lay a cream colored egg that is large and also lay a large number of eggs. The Malines is somewhat of an auto sexing bird but the visual clues are not easily recognized at hatch but days or a week after hatch the clues are noticeable. We will only sell the day old chicks as straight run. 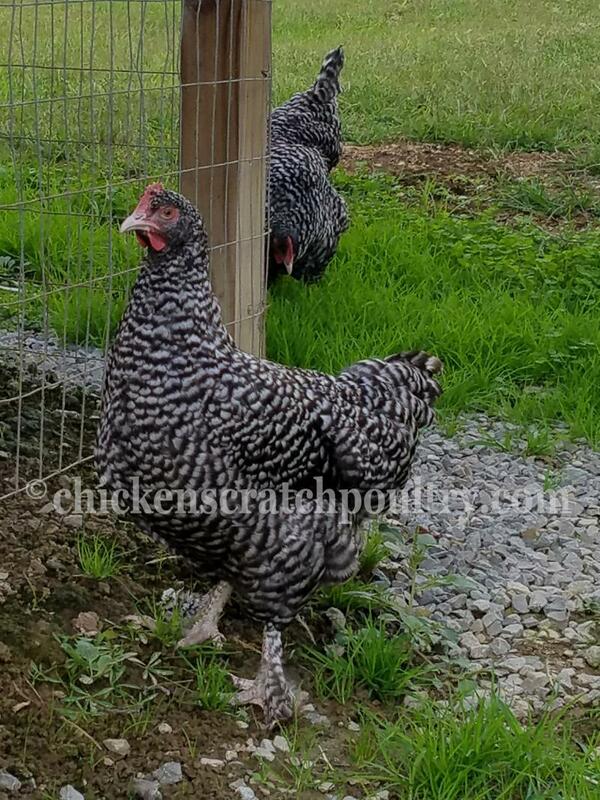 If you are looking for beautiful, sweet tempered, easy to handle, physically impressive birds for your backyard flock, the Malines should be at the top of your list. We traveled to Greenfire Farms in the spring 2016 to pick up our breeders and also took a farm tour. During our tour as we walked past the Malines pen I was so impressed with the way their little faces were pressed up againt the fence that I knew instantly I had to have this bird. They beg for your attention, I LOVE it!! 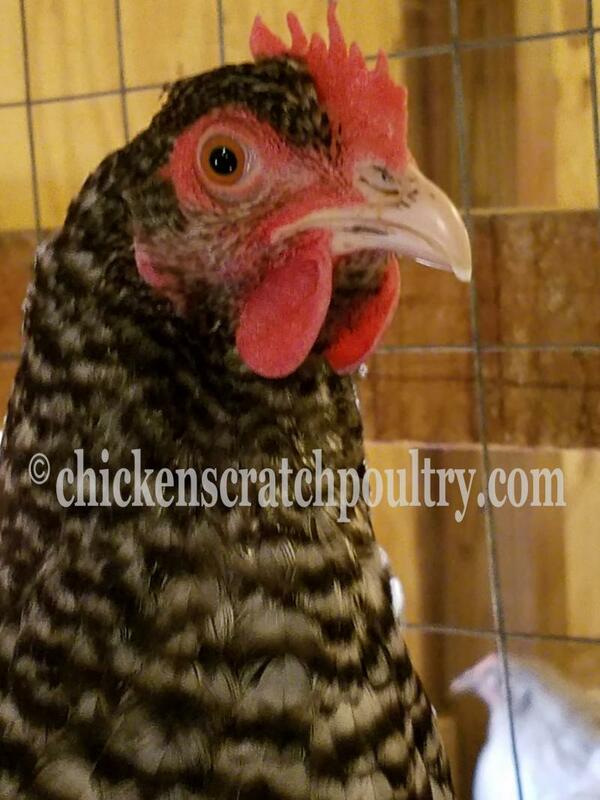 Minimum order of 16 chicks, you can mix the order with other breeds. If youwould like fewer than 16 please contact us. 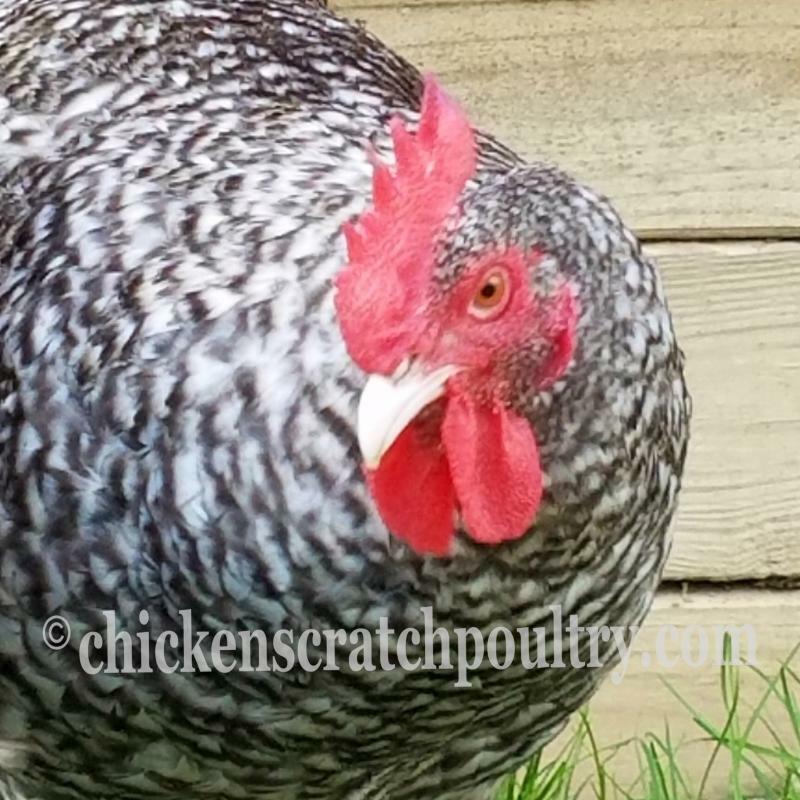 Super sweet, curious, friendly poultry. Big girls, with big bottoms!